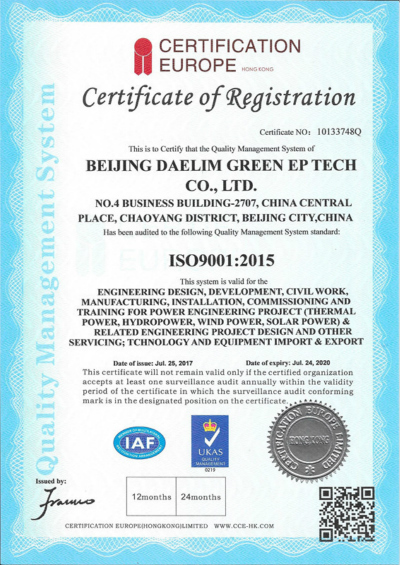 Company Overview - Beijing Daelim Green Ep Tech Co., Ltd.
7YRSBeijing Daelim Green Ep Tech Co., Ltd.
BEIJING DAELIM GREEN EP TECH CO., LTD. (Hereinafter referred as to BEIJING DAELIM), is a professional international engineering contracting and international trading company, mainly focusing on engineering project contracting (EPC), complete equipments supply at abroad, in the field of power sector including transformer substation, distribution substation, hydro plant, transmission line and so on. The general headquarters of it is located in Beijing China.Over the years, BEIJING DAELIM play full advantages of the place that located in "The Chinese Political Center, Culture Center, External Communication Center", have established the middle-size company. Which have core advantage for Consummate Design Plan, Professional Technology, Outstanding Quality. And according to the advantages of strong technical resources and product resources, to provide customers with a full set of the best products and the most optimal technical project. At present, have formed "Power Generation, Power Transmission and Distribution, Power Control and Power Consumption", 4 large industrial systems. 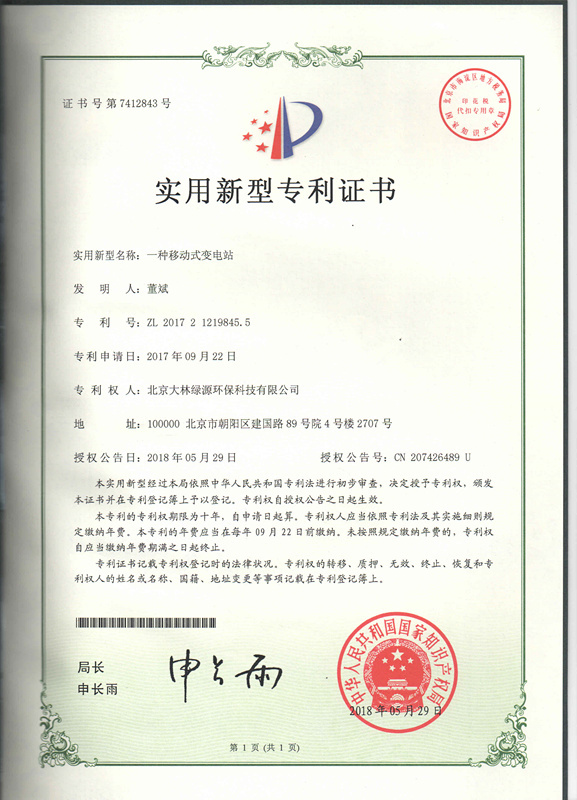 BEIJING DAELIM take the senior international trade backbone as a core, have established a effective and professional service team, establish the abroad branch company in Ecuador and Venezuela. Can provide trade and technical services with English, Spanish, French, Russian and other languages, accept dollars, euros, and other kind of currencies settlements. The total sale one year of all kind of products can reach to 50 million dollars. Export ratio reached out 90%. The products export to many countries and regions in globe 5 continents. Among them, the South America market accounted for 65%, the North America and the Central America accounted for 15%, and 10% of the Africa market, the Europe market accounted for 5%, Middle East and Oceania accounted for 5%. And have been established a number of successful substation and transmission line projects in Latin America, and have been widely praised by customers. "Manage honest basis, customers value first". BEIJING DAELIM will take "Professional Technical, High Quality Products, Good Service, to full meet the needs of the customers" as the purpose. Take the "Good Faith Cooperation, Satisfied Customers" as our mission. Take "Become the reliable business partner"as the gold. Bring the whole world customers with "Professional, Convenient" customized experiences and cooperation fun.